If you require new forklift truck attachments or if your own is damaged and in need of factory repair, B&B has an extensive range available for long and short-term hire. 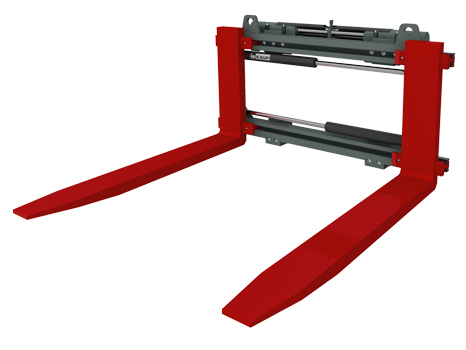 This includes paper roll clamps, double pallet handlers, keg clamps, carton clamps, bale clamps, push pull devices, rotators, sideshifts, crane jibs, carpet booms, brick and block clamps all maintained to the highest standards and available at competitive rates. B&B Service and support all hire attachments in the field using its own network of service engineers. B&B'S comprehensive workshop facilities ensure all hire attachments are maintained to the highest level ensuring minimum down time. Please contact the main office for all enquiries regarding pricing and availability. Please note that this section is still currently under development and will continue to be updated. For a complete list of available attachments please contact the main office.